TGIF and Happy Halloween! The weekend will close out October and bring in the colder temps... 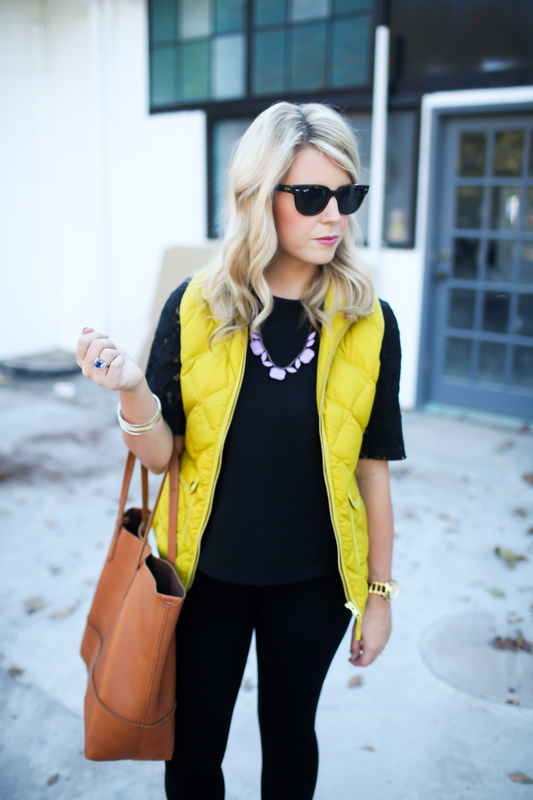 I'll be ready for the temperature change with my absolute favorite layering piece for this time of year :: the vest. The vest is an absolute NECESSITY in your fall wardrobe, and I can promise you'll find yourself reaching for it on a daily basis. Another favorite thing of mine? Chartreuse. Y'all, I'm pretty sure that chartreuse is the new black these days. At least it is in my book. It's such a pretty color; adding a pop without being too bright, a tone that can air on both the warm and cool ends of the spectrum. If you think you can't do chartreuse, at least give it a try. You might be surprised. This J.Crew vest is my new go-to; layering over everything from dresses, to tops, to tees and more. Today I'm bringing you two looks featuring this new favorite of mine. 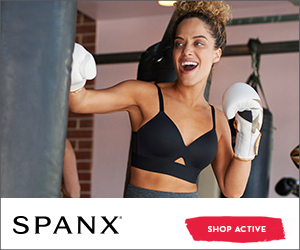 In stores and online now, so you can snag it for yourself! Try it with an all black outfit, like this LOFT lace sleeve tee and J.Crew pixies. My violet Loren Hope 'Blythe' bauble compliments the chartreuse pretty perfectly, if I do say so myself. OR, make it a little more casual with your favorite chambray. I created a jeweled collar effect here by simply buttoning my chambray all the way up and adding a crystal statement necklace under the collar. I'm LOVING this similar necklace HERE, currently 25% off! Vest it up this weekend! Experiment with different ways to maximize the things in your wardrobe by adding a vest. You'll soon be finding you can't live without it.